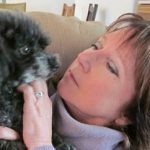 Lorraine has published fiction and creative nonfiction in The MacGuffin, The San Francisco Chronicle, Pebble Lake Review, Dos Passos Review, Kalliope and other literary magazines. She co-founded and served as fiction editor of The Carquinez Review. She is working on a novel and a short story collection.